Tim has recently migrated from London, UK, where he worked across a wide variety of broadcast programming. 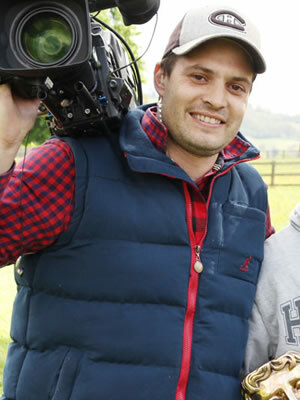 He now owns a Sony F5 camera kit and works across TV, commercial, corporate and branded content. His career started out in photography, working around the world shooting film stills, fashion and commercial work. But his love for the moving image eventually swayed him from the photographic world. 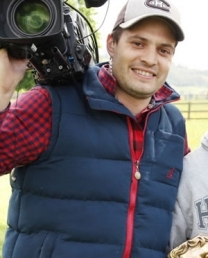 He has been camera operating for 5 years, and produces engaging, consistent and creative camera work and lighting. He works with multi camera, PSC and ENG shoots, utilising all current UHD/HD formats and equipment. Shooting on Arri, Red, F55/65, XDCAM, C300 and DSLRs. Covering multi camera television, documentaries, factual programmes and corporate productions. Work has been aired on all BBC channels, ITV, Channel4, MTV, Nat Geo, Discovery and various Sky channels. Recent credits include Great British Bake Off, Sewing Bee, Hair, Derren Brown, Dynamo & Geordie Shore. Tim has an ability to see shots developing early, grabbing the content that often gets missed. His natural creativity and drive to find the best images leads directors to rely on him for his visual storytelling ability. He is an excellent planner and is very logistical, with an enthusiastic and energetic approach to his work. He has a special eye for temporal filming, and excels when shooting slow motion and time-lapse footage. He loves his job, brings a professional attitude, a good sense of humour and an ability to keep on keeping on. From the first time I worked with Tim, I knew I’d enjoy many more shoots with him. He’s an absolute professional and always displays a positive attitude towards his work. Through working with Tim, I’ve always had great experiences, and have absolute confidence in his abilities of visual storytelling. No matter the brief, he’s always excelled and tackles the task with enthusiasm. He’s a pleasure to have on any set, and is always a joy to collaborate with.